Dubai offers a superb series of restaurants, offering variety of delicious food and an excellent dining to satisfy their customers. Moreover, the hotel and restaurant industry of this amazing global city offers lots of job opportunities for the job hunters. However, no one can ignore this fact that getting a Restaurant Manager’s job in one of the World’s top busy business hubs like Dubai is no doubt a very hard-hitting task. This job requires a proper knowledge of managing things according to the policy of the specific restaurant. The best manager is the one who produces best outputs within limited available resources. Do not panic and simply go through this simple guide of step by step to know about the procedures involved in getting a Restaurant Manager Job in Dubai. Address: Umm Suqeim 3, street 10c, bluilding 69, Directly opposite Burj Al Arab United Arab Emirates. View Map. - Stuffy CV’s are never appreciated, therefore, make to keep it simple and to the point. Your CV should not exceed two pages. - Follow the latest format of professional CV. - Your job description should not exceed one line. 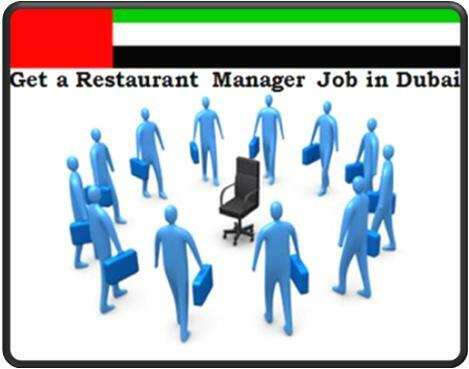 Come up with the best job description, showing your interest in the restaurant industry of Dubai. - Follow the descending order while writing about your educational career or experience. - Put your qualities and strengths in best words. - Use bullet point in order to keep your resume to the point. - Put the most significant information at the top. - Break your CV into various sections, using effective titles for each. - Use professional language and make sure to avoid slang language. - Do not add picture and do not lie at all. - Your CV is your golden chance to create good impression, therefore, make sure to go through it several times in order to make it error free. - Use fine quality white paper to take the print of your CV. You can find Hospitality related jobs here. Once you forward your CV for a restaurant’s manager position, wait for an interview call from the specific hotel or restaurant of Dubai. Until then search online and get the latest information about the hotel and restaurant industry of Dubai. Dress professionally yet self-assuredly on the interview day. It is better to wear suit and tie. Avoid funky and bright colors and prefer professional colors like blue, black and white etc. Be on time as it is your first session with your employer and your opportunity to show your punctuality. Face the interview panel with self-confidence and answer their questions in a professional manner. You can be nervous if it is your very first interview, therefore, hold something light in hand like a tissue paper, pen or pencil etc in hand in order to control your nerves. Come up with your own unique and impressive ideas regarding the promotion of hospitality industry of Dubai in order to make an impact on the interviewers.